Texas has a long and unique history. It has been an independent nation, a territory, a state, and something less defined but equally important to the indigenous people who called it home long before anyone “discovered” its existence. In the Wild West days, Texas held a draw to a particular sort of adventurer. It was untamed land, unblemished and wide open. And those who migrated to Texas during the days of the American Frontier must have done so with equal parts trepidation and excitement. And with a heavy dose of pluck. Imagine yourself as an adventurer, making a go of things in Texas. Civilization has come to mean something new to you. It’s less about sprawling cities and more about talking to someone who isn’t related to you for once. Now that your mind has transported you to the time of gunslingers and homesteaders, add in another detail: You’ve got a killer toothache. Now, what do you do about that? See, you’re living in the Wild West. The first school of dentistry on the North American continent wasn’t established until 1840, and aside from a few snake oil salesmen claiming to be dentists, Texas hadn’t seen many dentists. And definitely not many who had received formal training. To top it off, there wasn’t a process or procedure in place pretty much anywhere—and especially not in Texas—to certify that someone was qualified to practice as a dentist. At best, you’d have been lucky to find someone who has experience with dentistry. As anyone with a toothache can tell you, tooth pain is relentless. It throbs and aches and burns taking up your focus and sapping away at your fortitude. The desire to get rid of that pain is a powerful motivator. So while you might know seeing that frontier dentist is risky, you’d do just about anything to make the pain go away. Now imagine you hear about a reputable dentist from St. Louis and his colleague have come to the area. Not only can they help you, but they’ve just established the area’s first dental college. And their new college happens to be in one of the best-looking buildings in Dallas—the Juanita Building. It’s enough to write home about. The history of the Juanita Building is murky at best. We’re not sure of the exact date of its original construction, who designed it, or its namesake. But we do know that in 1905, David E. Morrow and T.G. Bradford received the proper clearance from Texas state officials to open the very first dental college in the Southwest—State Dental College. The home of that very first college was the Juanita Building. Two years later, the Juanita Building said farewell to seven dental graduates who went out into the frontier to practice their craft and teach others. Thankfully for the state of Texans’ teeth, the dental college quickly outgrew its lodgings. It moved from the Juanita Building shortly after those seven graduates flew the coop. The State Dental College moved in 1907 to a larger building on South Ervay Street. The graduating class sizes increased from seven in 1905 to eighteen in 1912. And it grew steadily until it became part of Baylor University Medical College in 1918. The last graduating class of State Dental College consisted of twenty-six young men. The college struggled through World War I, the Great Depression, and World War II. The college had to move to Houston in 1943. But the post-war boom hit the college too, and by 1950 class enrollment had 241 students. The college was bursting at its seam. So a new building was constructed, and for the first time in its history, the college had its own quarters built specifically for dental education. In 1955, the college was happy to see a sister school opened. It was the Caruth School of Dental Hygiene. Thus began the training of dental hygienists in the area. Both schools were thriving. In 1971, Baylor Dental College became Baylor College of Dentistry. And it became its own entity completely separate from Baylor University Medical College. It has since changed directions once again and is a component of Texas A&M University, but its early success was a inspiring model for other frontier-area dentists and colleges. Texas has a rich history of innovators who saw a need and stepped up to fill it. We’re happy to call Texas home, and it’s not hard to be proud of the people of Texas that have come before us. Well, most of those people, anyway. Did we mention Doc Holliday was a dentist? Historians believe he practiced dentistry in the Dallas area for a short while too. Can you imagine going to Doc Holliday to have a tooth pulled? No one knows for sure whether Doc Holliday was some sort of vigilante gunslinger or something else entirely, but we’re sure glad Texas has evolved into what it is today. 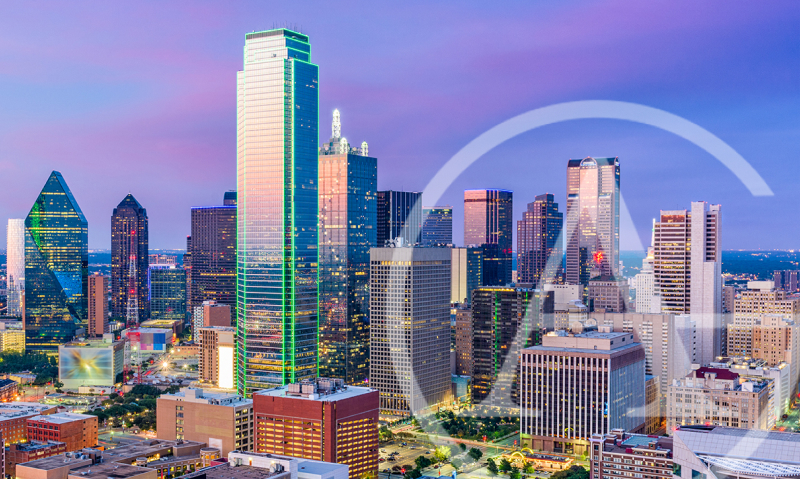 Are you looking for a Dallas area dentist? We’d be happy to help.